PDAM Jaya will form a joint clean water supply team for the upcoming Asian Games. The joint team also involves two operators, PT Palyja, and PT Aetra, with 70 members. They will be in charge of monitoring clean water supply and water pressure at all Asian Games venues.
" 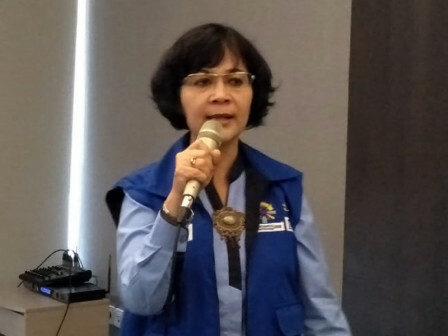 The team is formed to ensure and smoothen clean water supply and water pressure at each venue"
Elly Darmawati, Chairwoman of 2018 Asian Games Air Supply Joint Team said that the joint team is authorized to carry out detailed checks, repair and safeguard water supply and quality. In addition, the joint team is authorized to send water tank trucks to the Asian Games locations as soon as possible. "The team is formed to ensure and smoothen clean water supply and water pressure at each venue," she expressed, Monday (8/13). Prior to the Asian Games and Para Games, the monitoring of supply and water pressure is done every once a week. During the event, the team will monitor twice a day. He also provides call center services that will operate 24 hours a day. If there is a disruption to clean water, people can submit complaints and information to the call center. "Just contact us at 021-869 099 99 and 021-574 6130," he said.